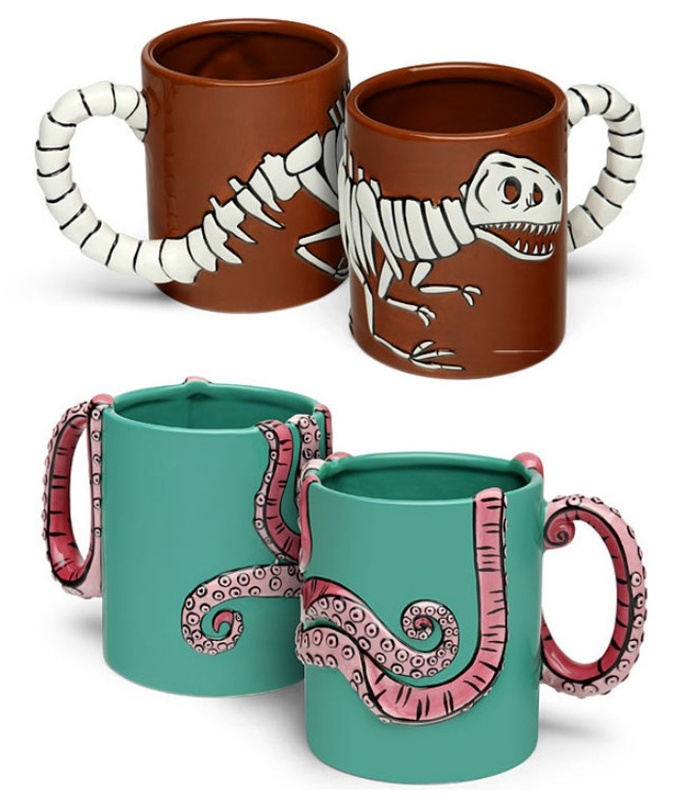 Bring a little prehistoric fun to every coffee break by sipping your latte from these quirky mugs. 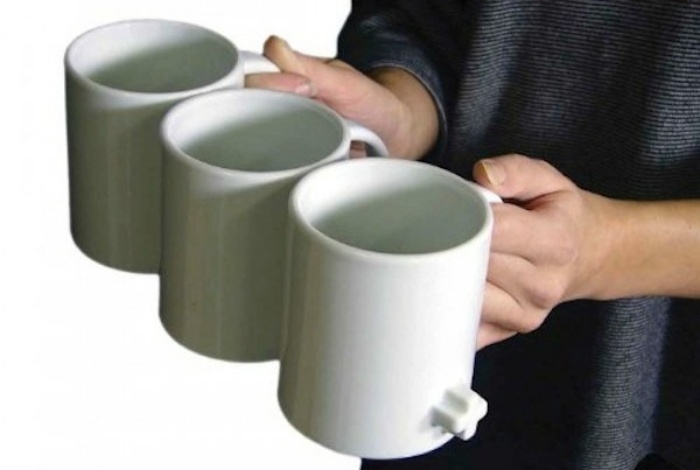 Each one features a three-dimensional design starting from the print that covers the mug and extends to the handle. The T-Rex holds 17 ounces while the octopus can hold up to 15 ounces of your favorite drink. These coffee mugs are available from ThinkGeek for $13. Crossword Puzzle Mug: Want a Puzzle With Your Coffee? By Hazel Chua on 07/16/14 • Leave a comment! Coffee is best served with a crossword puzzle on the side. Well, and with a bagel or a slice or two of French toast, too. 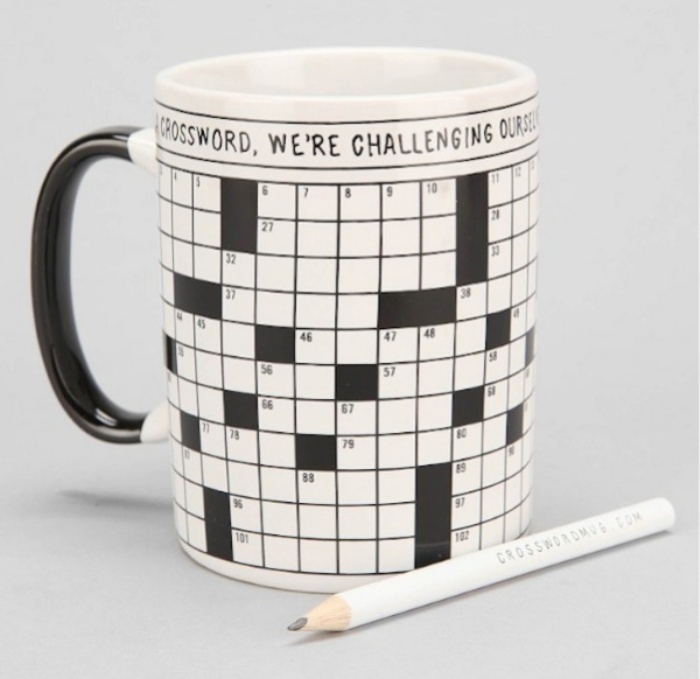 If someone did the crosswords in the newspaper before you got to it though, then don’t fret because the Crossword Puzzle Mug is there to save the say. 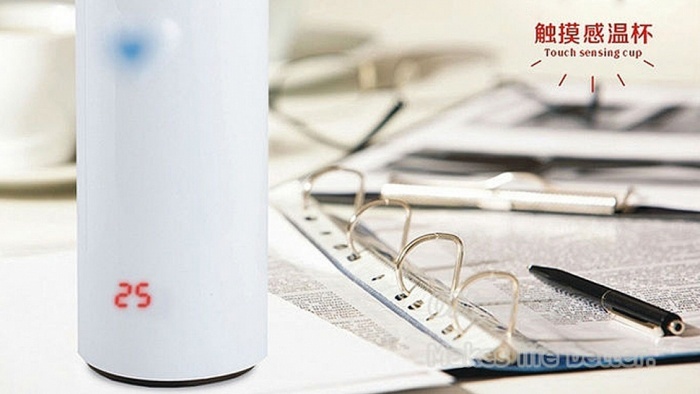 As its name implies, it’s a mug with a crossword grid printed on its exterior. It isn’t just there for show, because you can use it to answer the puzzle printed on the mug’s box. The iCup is a mug in the shape of Apple’s trademark bitten apple logo that comes with a matching saucer and spoon. The saucer isn’t just a plain old saucer, as it can be plugged into your MacBook via USB to heat up the plate, keeping your mug and its contents warm while you toil away on your computer. 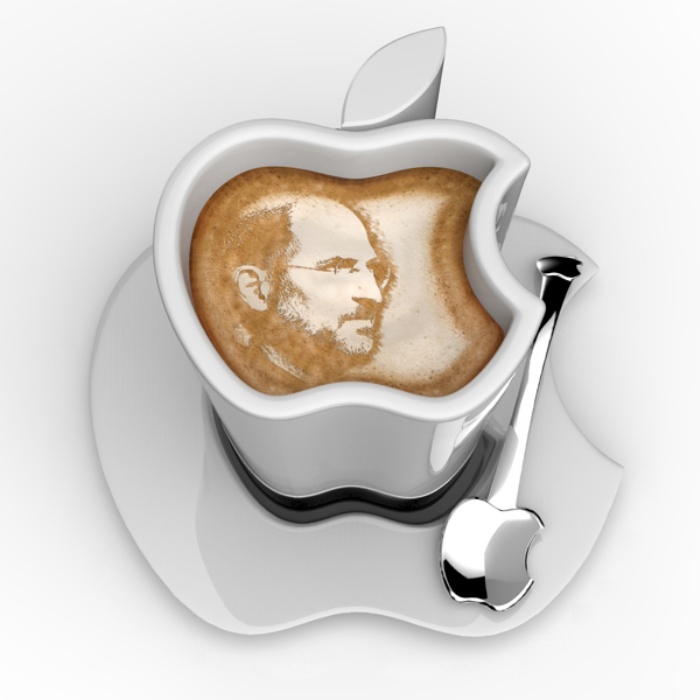 The iCup was designed by Tomislav Zvonari?, who was inspired by his love for Apple. That much is clear in the small details you can see in his design, from the mug’s leaf handle to the tiny apple logo on the handle of the spoon. By Hazel Chua on 01/02/14 • Leave a comment! Put away those gloves, at least while you have your morning cup of coffee. At first glance, the Toasty Mug looks like a conch shell of sorts, with its curved body and the hollow chamber. The latter is actually what gives this mug it’s very unique hand-warming feature. There’s no need for an external source of heat, because what will warm your hands (which are supposed to go into the aforementioned hollow chamber) is the hot drink that you’ve poured in the middle. 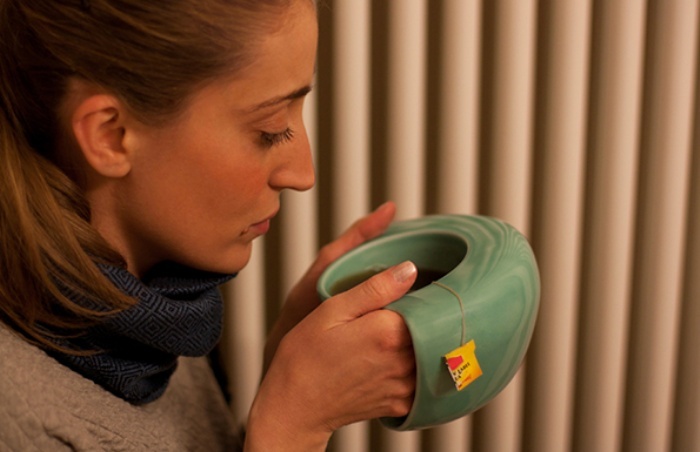 It’s different from wrapping your hands around a mug because the design ensures that your entire hand is kept warm and toasty. Just perfect for the season, don’t you think? By Hazel Chua on 07/10/13 • Leave a comment! How many times have you burnt your tongue when you took a sip of coffee that was still too hot to consume? In my case, I’d say it’s one too many. I hate the sandpaper-like feeling of a burnt tongue that makes eating and drinking uncomfortable for a couple of days. Of course, you can avoid this simply by checking the beverage’s temperature before taking a sip. Or you can just get one of these temperature-sensing mugs from Brando.